AGW Group is the exclusive service provider for all marketing aspects of NFL Leagues United and their affiliated operations. 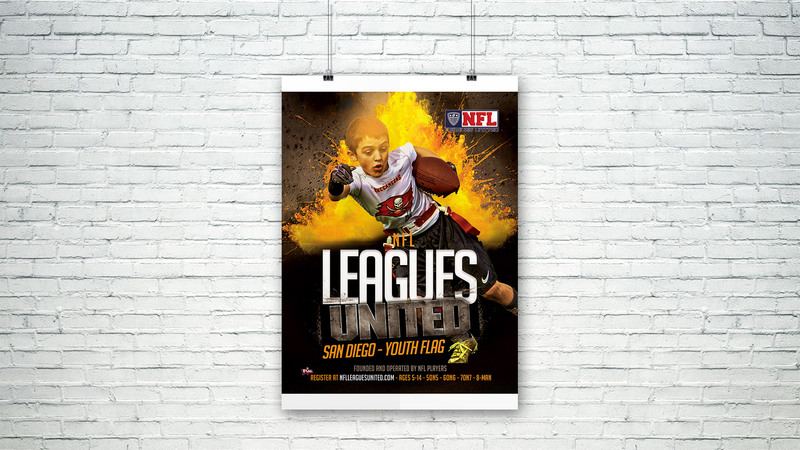 NFL Leagues United came to AGW with the goal of being the most recognizable brand in the youth flag football space (the fastest growing youth sport in the US). Services provided include; market research, overall strategy and positioning, website development including player and coach registration and payment gateway and integration as well as eCommerce, SEO, CRO, UX, social media, graphic design, printing and distribution, audio and video production, media buys including paid search and traditional, email marketing, and event organization. 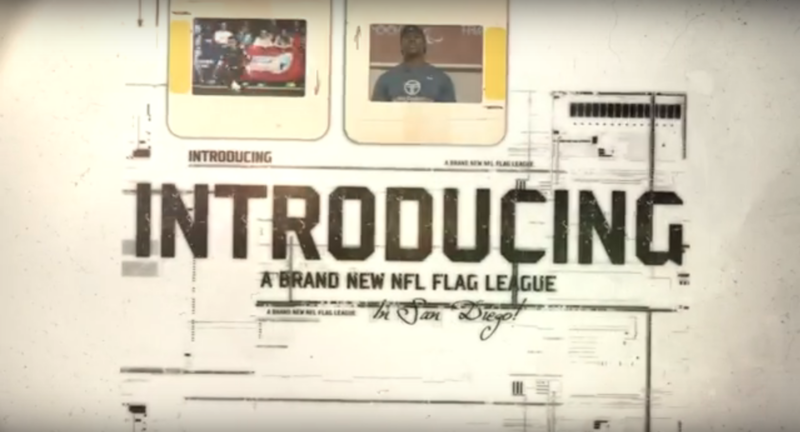 With all the discussion in the news about tackle football’s impact on youth, the race is on to be the dominant source for safer gameplay. 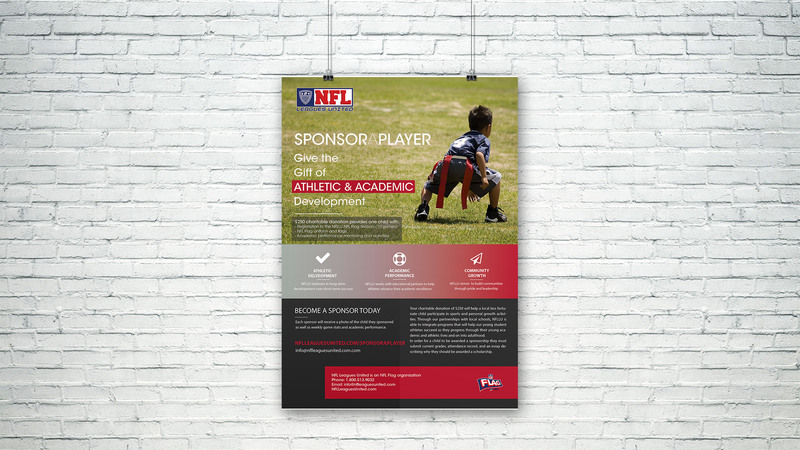 NFL Leagues United, founded and operated by former NFL and NCCA players, is the official non-contact youth football league of the NFL Alumni Association. The governing board of the league tasked AGW Group with developing the initial strategy and ongoing management of its marketing programs. This included customer acquisitions, CRM, sales processes, a strategic combination of push and pull marketing campaigns, event organization, physical and digital asset creation, and website development and management, and market expansion research. 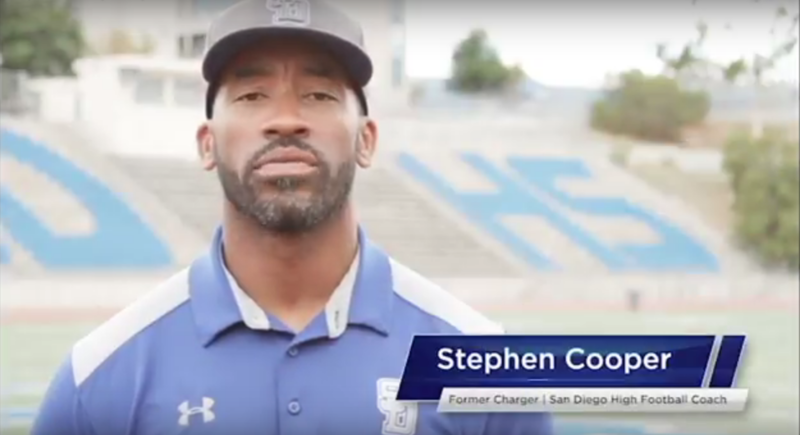 This project was built from absolute zero with the sole direction of bringing the vision of being the premier youth football league to a reality. Beginning with developing the league’s brand positioning framework and implementing a hyper local strategy, AGW Group was able to garner international attention before the first season even began. The foundation of such successful recognition was our data-driven strategy that most youth sports leagues are not equipped to produce. This enabled the team to generate highly efficient and targeted campaigns across all of the identified channels (including traditional and digital). 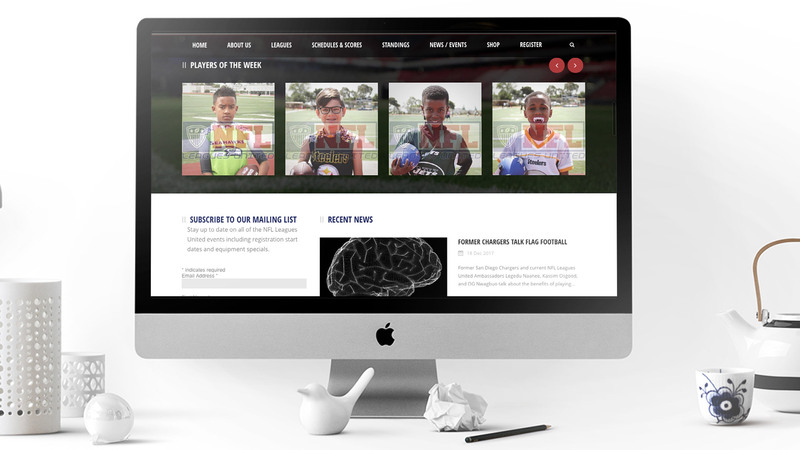 Additionally, all marketing pointed back to the highly functional custom website that includes lead capturing functionality, which again separated NFLLU from others; the budget for such a platform would be out of reach for most localized youth organizations. The accessibility for parents within the platform was also a major factor. 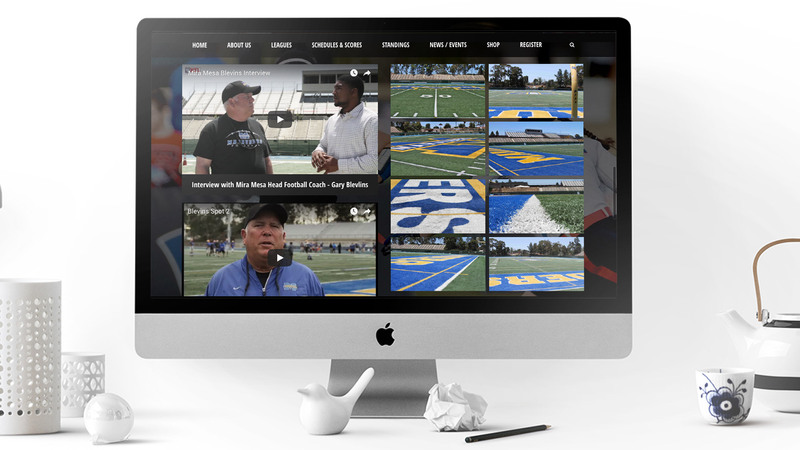 Parents could easily see all contact information, schedules, and announcements related to their team either via the website or mobile app. Social media content generation was also a key element in earned media and word of mouth acquisitions. Following analytical based strategies, NFLLU’s social following continues to grow and engagement remains trending above market averages. 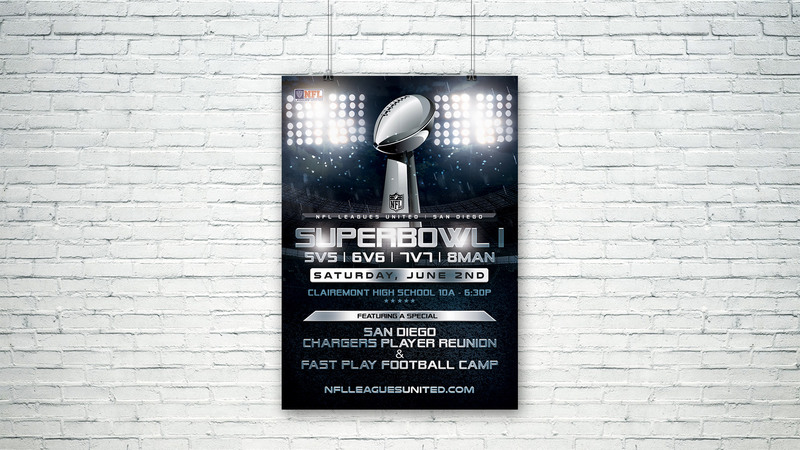 SEO is bolstered by recognizable NFL player interviews, relevant blog submissions, and authoritative backlinks. Paid media includes social media advertising, native advertising, retargeting, and paid search. AGW was also successful in acquiring $10,000 per month in grants from Google to spend in AdWords. Post season activities include customer satisfaction surveys (net promoter scores, NPS) and retention initiatives. 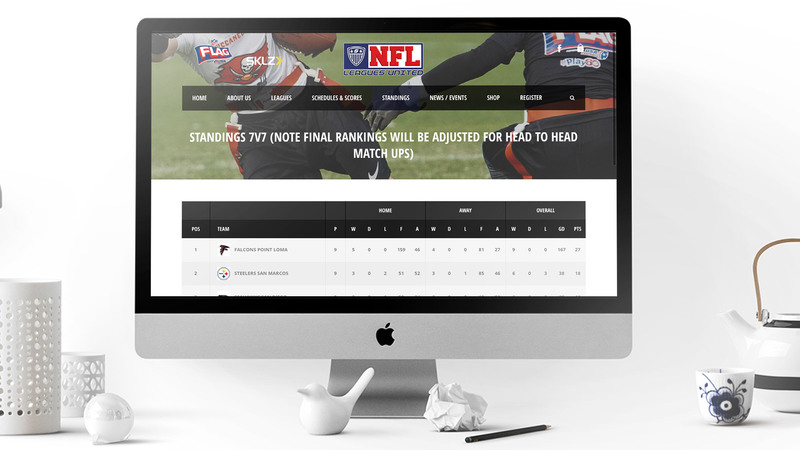 With the help of AGW Group NFL Leagues United has identified 35 new national markets to enter and 2 international (Mexico and Turkey) within its first year of operation. Entrants to these markets will begin to roll out beginning 2019.